Not sure the author of this article has much of a grip on the dynamics of change in the black community in the past 50 years. First off is his limiting the scope of “Black Business” to the pre-Civil Rights, Jim Crow enforced black enclaves that formed the majority of the black communities in the US prior to 1965. That world is, by and large…Gone. The simple fact is, everybody that could, financially…Done left the ghetto. It also means that black owed businesses no longer had to limit themselves to selling product or services in very limited venues to solely black customers. And it meant that black owned businesses in black only neighborhoods was no longer protected from competition. So where are the black owned businesses of today? Black owned businesses in the United States increased 34.5% between 2007 and 2012 totaling 2.6 million Black firms. More than 95% of these businesses are mostly sole proprietorship or partnerships which have no paid employees. About 4 in 10 black-owned businesses (1.1 Million) in 2012 operated in the health care, social assistance; and other services such as repair, maintenance, personal and laundry services sectors. 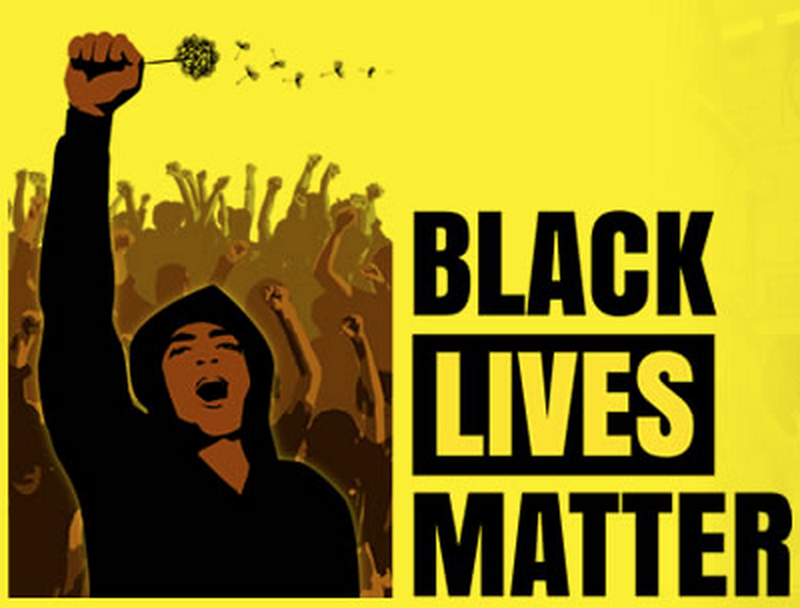 Can black folks, and should they do better? You betcha. And there are a number of programs to educate prospective black entrepreneurs to better manage, promote, and finance their business ideas. I personally am very high on the ” Equity Crowdfunding” concept as a replacement for traditional Venture Capital for minority owned firms. The simple fact is, VC is a white boy’s club, which according to Forbes, invests less than .3% of their funds into black owned business despite the fact that black entrepreneurs in tech have higher success rates, and “exit event” (payout) rates calculated to provide returns 7 times more frequently than the typical VC investment in white boys out of college. Crowdfunding doesn’t appear so far to have such stereotype racism, and nearly 30% of the investments are going in to minority owned firms. Now imagine that in 2020, the new leading source of startup capital is one in which there is a level playing field for minority-owned firms. Based on the experience of at least one equity crowdfunding platform, it’s quite possible that will be the case. In an internal sample of 5,000 companies using EquityNet, the world’s largest equity crowdfunding platform, 32 percent were minority-owned, including 9 percent owned by African-Americans. What’s more, minority-owned firms surveyed on EquityNet, which is based in Fayetteville, Arkansas, were achieving the same funding success rate (20 percent) and seeking similar amounts of capital on average (around $1 million) compared to non-minority-owned firms on EquityNet. While Crowdfunding doesn’t solve the second or third stage money issues where typical investments can be from $3-20 million, it at least provides a platform whereby the start-up firm can either reach product production , or some level of revenue. With the success rate of equity crowdfunding, you can bet some enterprising financial folks are looking at setting up that second stage funding! They once served their communities when others wouldn’t, and over the past 30 years, they’ve practically vanished. At the new National Museum of African American History and Culture in Washington, D.C., a hallway of glass display cases features more than a century’s worth of black entrepreneurial triumphs. In one is a World War II–era mini parachute manufactured by the black-owned Pacific Parachute Company, home to one of the nation’s first racially integrated production plants. Another displays a giant clock from the R. H. Boyd Publishing Company, among the earliest firms to print materials for black churches and schools. Although small, the exhibit recalls a now largely forgotten legacy: By serving their communities when others wouldn’t, black-owned independent businesses provided avenues of upward mobility for generations of black Americans and supplied critical leadership and financial support for the civil rights movement. This tradition continues today. Last June, Black Enterprise magazine marked the 44th anniversary of the BE 100s, the magazine’s annual ranking of the nation’s top 100 black-owned businesses. At the top of the list stood World Wide Technology, which, since its founding in 1990, has grown into a global firm with more than $7 billion in revenue and 3,000 employees. Then came companies like Radio One, whose 55 radio stations fan out among 16 national markets. The combined revenues of the companies that made the BE 100s, which also includes Oprah Winfrey’s Harpo Productions, now totals more than $24 billion, a nine-fold increase since 1973, adjusting for inflation. A closer look at the numbers, however, reveals that these pioneering companies are the exception to a far more alarming trend. The last 30 years also have brought the wholesale collapse of black-owned independent businesses and financial institutions that once anchored black communities across the country. In 1985, 60 black-owned banks were providing financial services to their communities; today, just 23 remain. In 11 states where black-owned banks had headquarters in 1994, not a single one is still in business. Of the 50 black-owned insurance companies that operated during the 1980s, today just two remain. Over the same period, tens of thousands of black-owned retail establishments and local service companies also have disappeared, having gone out of business or been acquired by larger companies. Reflecting these developments, working-age black Americans have become far less likely to be their own boss than in the 1990s. The per-capita number of black employers, for example, declined by some 12 percent just between 1997 and 2014. What’s behind these trends, and what’s the implication for American society as a whole? To be sure, at least some of this entrepreneurial decline reflects positive economic developments. A slowly rising share of white-collar salaried jobs are now held by black Americans, who have more options for employment beyond running their own businesses. The movement of millions of black families to integrated suburbs over the last 40 years also is a welcome trend, even if one effect has been to weaken the viability of the many black-owned independent businesses left behind in historically black neighborhoods. Miller Lite’s “Tap the Future” Contest is underway accepting applications through April 14th. The Contest participants (rules in link above) get $20,000 for being selected in the first round, and can get $100,000 if their idea is selected as an overall winner. As Daymon John points out above, the huge advantage in participation in the competition, is the money does not require giving up equity in the winning companies, giving the a massive leg up should their business move to the point of seeking secondary of tertiary investment. If you can get to the product prototype stage (or are already there) with $100,000, this is far better financially than pursuing “Angel” investors who will want 30-50% ownership. One of the most critical factors to success of a startup is keeping the investor/ownership group as small as possible. Winning this could mean the entrepreneur retaining majority ownership through at least the Venture Capital round. Washington, DC., New York, Chicago, San Fran, LA, and Dallas All host great restaurants – of which a half dozen or so compete on the World Stage of greats.You want to open a restaurant and claim it belongs you better be on the very, very, very top of your game. Legendary locations for exquisite cuisine include The French Laundry, Per Se, Alinea, or Le Bernadin are world famous. The top 5, 10, or 50 list is hotly contested and changes from year to year. Per person seatings generally run from $80 to $300 before the wine tab. 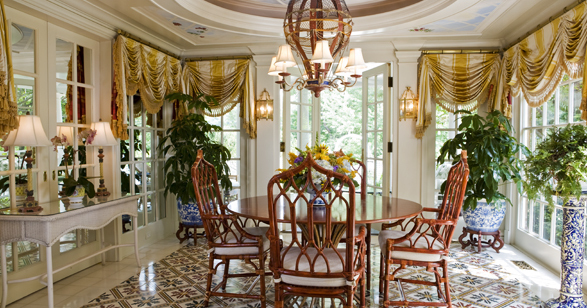 In the Washington, DC area that list include perennial favorite, The Inn at Little Washington, as well as relative newcomers Minibar, Rasika, Komi, Fiola, and French traditional stalwart L’Auberge Chez Francois. So when an upstart opens a new place with a price tag of $1,000 a seating, at 4 times the price of 2 of the highest Michelin rated restaurants in the US, you better be able to produce something so spectacular, people faint at first tasting. Alas… This foolish brother couldn’t “walk the walk”. Just from a single guy standpoint, if I’m picking up a $2,000 tab – everything from the decor, ambiance, food, service, wine better be so good – my date hands me the room key to the Presidential Suite she paid for at the hotel…With the bottle of champagne! Fail! Chef Kwame Onwuachi lost his debut restaurant after less than three months of business. The Shaw Bijou closed today, and the owner says the blame for the restaurant’s two-and-a-half-month existence is shared among all the principals. Kelly Gorsuch, the principal owner of Shaw Bijou, says he saw himself as a silent investor, providing the capital for first-timers chef Kwame Onwuachi and general manager Greg Vakiner to build and run the high-concept restaurant they had been planning for years. But in retrospect, Gorsuch says he should have pushed the duo more from the start. He says that the restaurant’s pricey tasting-menu dinner wasn’t filling seats or covering costs. So on Sunday, Gorsuch called Onwuachi and Vakiner into a meeting and told them he was closing Shaw Bijou, effective immediately. Gorsuch and the other principal investor Glenn Paik could no longer afford to keep the place running. Neither Onwuachi nor Vakiner could be reached for comment. The closing of Shaw Bijou, first reported by Washingtonian, brings an abrupt end to a restaurant that endured wild mood swings before it served a single meal. Even before appearing on “Top Chef,” where he finished sixth out of 17 contestants last year, Onwuachi was a hot commodity. He not only had a compelling back story, but he also had an impressive run with Dinner Lab, a series of pop-up dinners in which the chef consistently impressed diners. Onwuachi’s appearances on “Top Chef” only contributed to the buzz around the young cook, even though he had never run his own restaurant or managed a kitchen. The hype took a turn in August when Onwuachi and his team announced the price tag of their 13-course tasting menu, which would take diners on a journey through a converted townhouse. It wasn’t long before Washingtonians realized that dinner for two at Shaw Bijou could top out at $1,000, immediately making it one of the most expensive restaurants in the city. Diners couldn’t understand how someone with such a thin resume could compete with the likes of José Andrés, Eric Ziebold and Aaron Silverman. 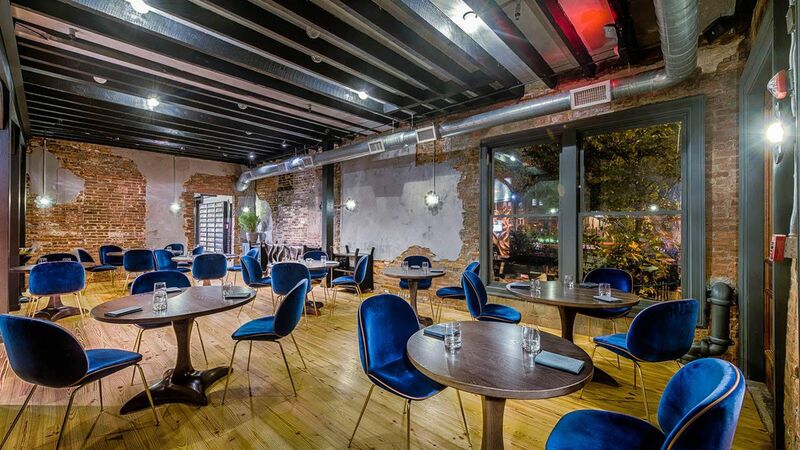 When Shaw Bijou opened on Nov. 1, the early reviews were mixed. In his First Bite review, The Post’s Tom Sietsema enjoyed several of his savory courses but found the desserts fell flat. More dispiriting, the critic realized that after dropping $500 per person on the meal, he was still hungry. Washingtonian gave the place two stars in a review that couldn’t make sense of the story that Onwuachi was trying to weave. But Gorsuch says it was too little, too late. The owner says he had been trying for weeks to convince Onwuachi and Vakiner to change the concept, but he says he couldn’t convince them. Gorsuch says he had spent most of Sunday trying to find jobs for the servers, cooks and bartenders at Shaw Bijou. The owner wasn’t as concerned about the chef and general manager. The longtime friends, who first met while attending the Culinary Institute of America, will probably find a new home soon, Gorsuch says. Gorsuch says this experience has shaken him. He’s never closed a business before. “This is probably the roughest week I’ve ever had,” he says. But more than that, Gorsuch is upset by the lost opportunity. He says he believed in the team behind Shaw Bijou. He thought they could have pulled off the concept with proper oversight. Don’t like not being recognized for your contribution at big company? Black women increasingly are doing just that, despite obstacles in terms of venture or bank financing. African-American women are the fastest growing group of entrepreneurs in America, a new study reveals. The 2015 State of Women-Owned Businesses Report released this week found that the number of women-owned businesses grew by 74 percent between 1997 and 2015. That’s 1.5 times the national average of business growth to be exact. Meanwhile, the growth in the number of businesses specifically owned by black women is outpacing that of all women-owned firms, the report says. The number of black women-owned businesses has grown by a whopping 322 percent since 1997. Today, black women own roughly 14 percent of all businesses in the country owned by women, which tallies to around 1.3 million businesses, according to the report. “While nationally African American women comprise 14% of all women-owned firms, African American women comprise a greater than average share of all women-owned firms in Georgia (35%), Maryland (33%), and Illinois (22%),” the report says. Statistics show that throughout these 1.3 million companies, nearly 300,000 workers are employed and the businesses generate an estimated $52.6 billion in revenue. When digging into the number of black-owned businesses overall, 49 percent are owned by women. 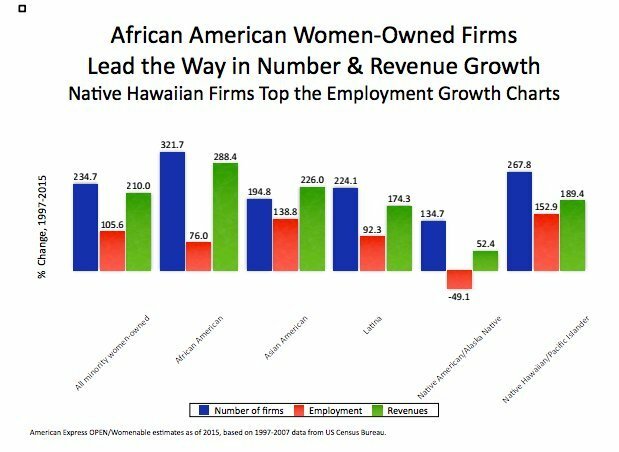 Businesses owned by black women also top the charts in revenue growth when compared to other minority women-owned firms proving that their economic clout is ever-growing.